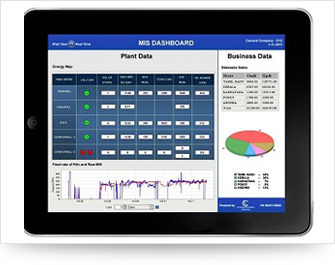 Solution encompasses a mix of HMI (Human Machine Interface), SCADA (Supervisory Control and Data Acquisition) and MES (Manufacturing Execution System). Broadly it covers a five layered architecture. The five layered architecture includes MES Module layer, HMI / SCADA layer, application layer, virtual machine layer and operating system layer.